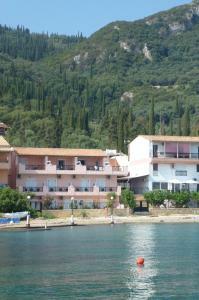 Philoxenia Hotel Apartments price per day from € 100 . Primavera Beach Hotel Studios & Apartments This family owned and run hotel is just steps away from the Malia Main Beach. Boasting a panoramic views of the Aegean Sea, it has a swimming pool with adjacent sun terrace with free loungers and umbrellas. Each also offers a fully equipped kitchenette with fridge. Town of Stalís (~3.6 km). 185+ accommodation units ! Town of Mokhós (~4.9 km). Town of Sísion (~4.9 km). 32+ apartments ! Town of Koutouloufárion (~7.8 km). 254+ apartments ! Town of Tzermiádon (~9 km). 6+ accommodation units !